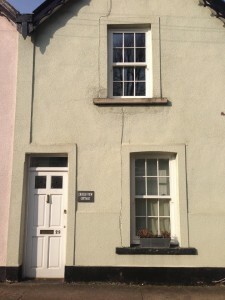 Timber sash windows are great at creating that authentic, ‘traditional’ look to a property. Their traditional style makes them perfect for homes in conservation areas, or for homeowners wanting to create the traditional look of real timber windows. Available in a variety of wood-grain finishes, these windows are manufactured using traditional joinery techniques to ensure that they achieve the highest levels of quality and authenticity. Technology has come a long way since the sash windows of a hundred years ago. New timber sash windows can boast amazing thermal efficiency values, making them brilliant at improving the energy efficiency of your home and saving you money on your fuel bills. Designed to look exactly like traditional 19th century flush sash timber windows, Residence 9 timber effect windows are a clever way of creating the authentic look of timber windows, for less. Residence 9 windows look exactly like timber, but do not require the time and effort that has to be spent maintaining timber windows. 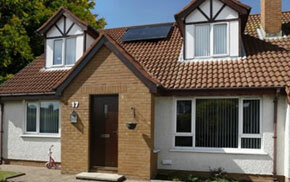 These windows are created from high quality uPVC: the easy-to-manage and cost-effective alternative to timber. Residence 9 windows are so authentic looking, that we can even install them within conservation areas. 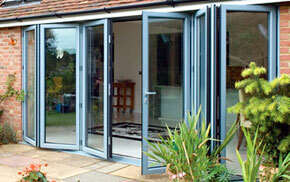 All of our windows can come in a range of heritage RAL colours: from popular Chartwell Greens to various greys and oaks. These colours are great at recreating that classic vintage style that many homeowners strive for in their properties. Combine this with heritage hardware, such as iron fastenings and brass handles and you can create a window that blends seamlessly in with any heritage property. 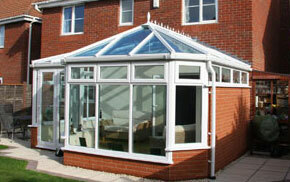 Mendip Conservatories are window specialists who have been serving the Somerset and Bristol area for over ten years. We offer a variety of windows specifically designed to suit heritage properties and styles. 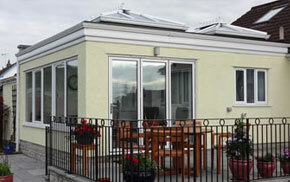 For more information, please call us on 01934 877 666. Alternatively, you can send us an email. We hope to hear from you soon!